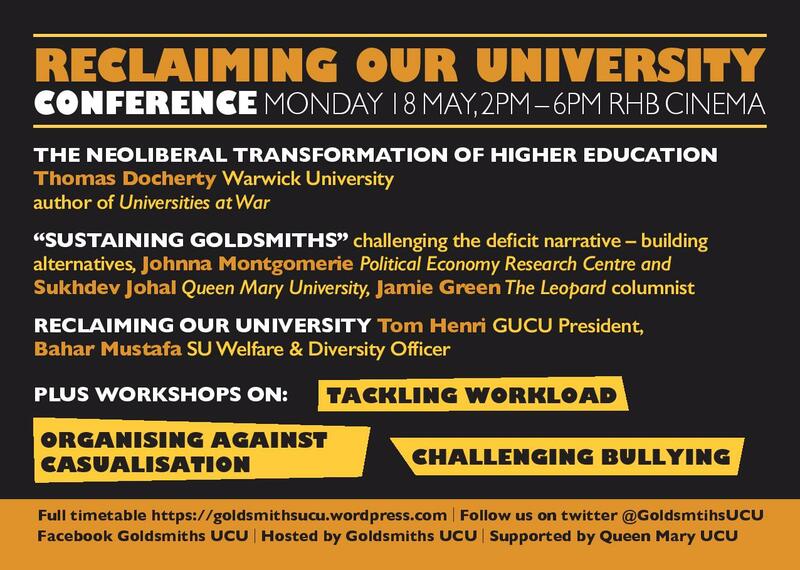 In a recent survey of GUCU members 71% of respondents said workload was an issue, 50% low pay, 41% insecurity and 29% stress and bullying. Now the College has embarked on the project “Sustaining Goldsmiths” – designed to produce efficiency savings and surpluses they say are necessary to survive in the educational marketplace. 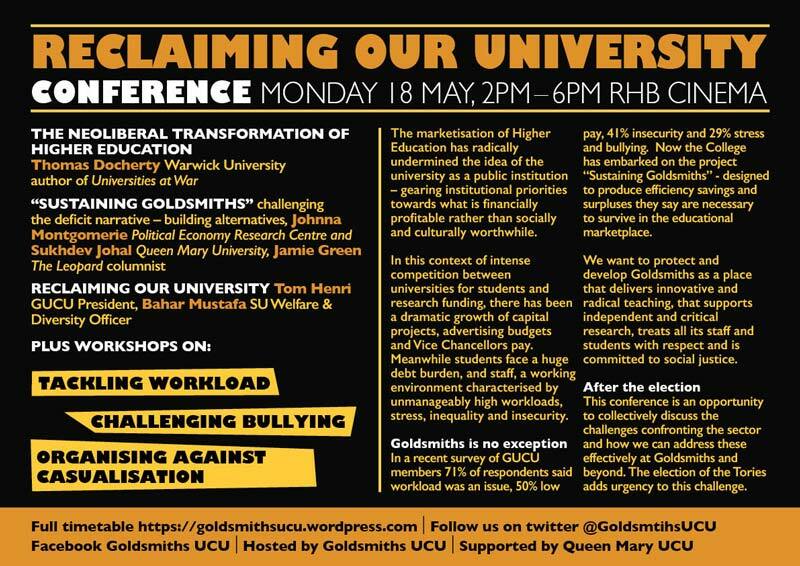 We want to protect and develop Goldsmiths as a place that delivers innovative and radical teaching, that supports independent and critical research, treats all its staff and students with respect and is committed to social justice.